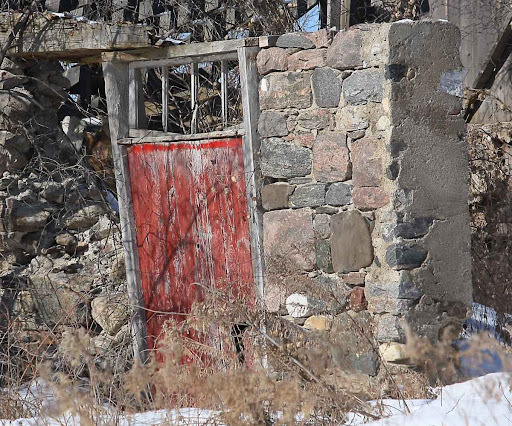 Red door on the ruins of an old barn. See more at Window Views And Doors Too. Like your photos of windows and doors, one of my favorites too.